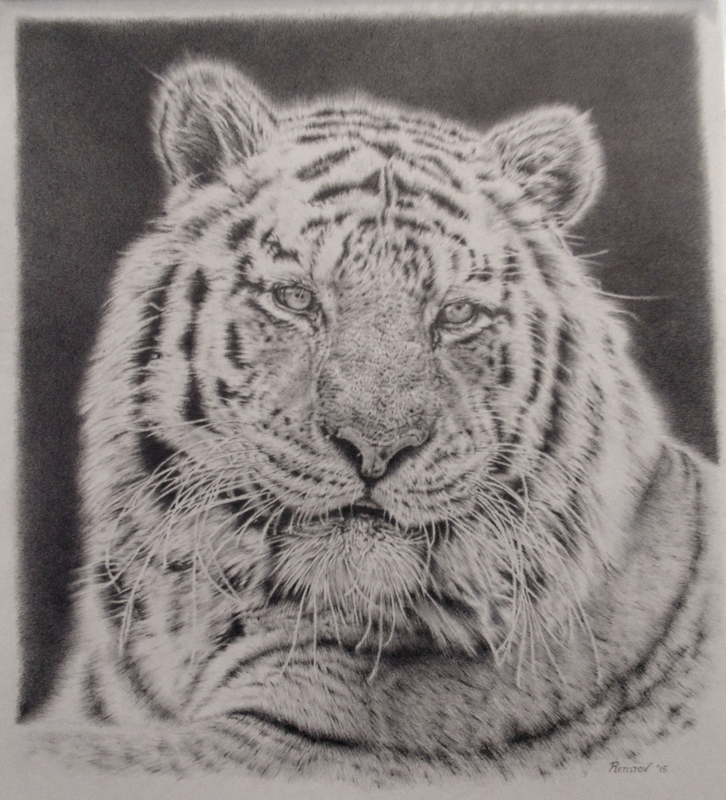 I just finished a new coloured pencil drawing of a tiger again. A big close up of his chilling’ face. I love drawing these beautiful coloured tigers with their fluffy fur. The most challenging part I find the short hairs on the nose. This is what always takes me the longest as well. Echo was a great help during my drawing process. He often sits on my free had while I’m working. The drawing took me about 60 hours in total. The original drawing is listed for sale and limited edition prints are also available. 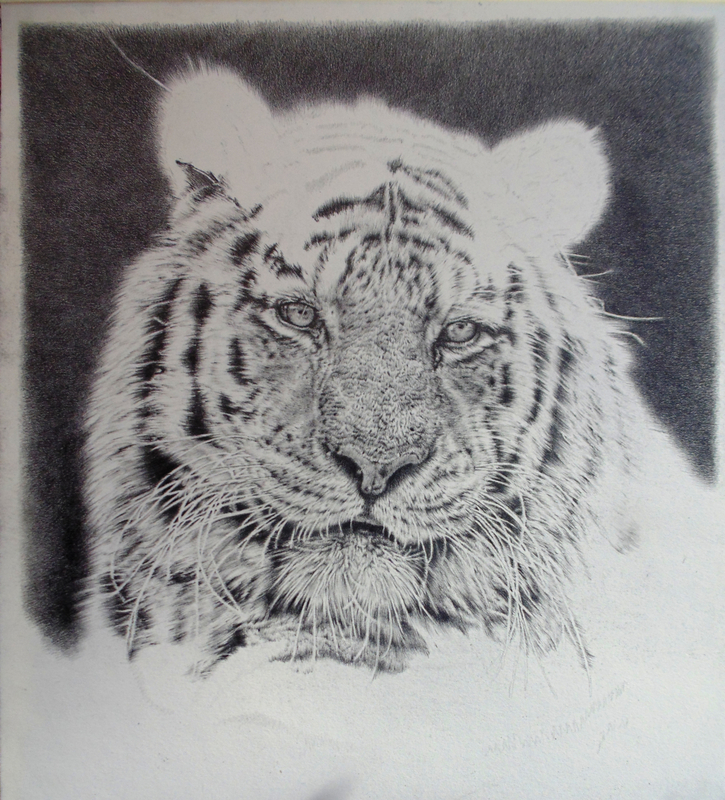 This morning I finished my tiger drawing. In total I have been working about 90 hours on it. 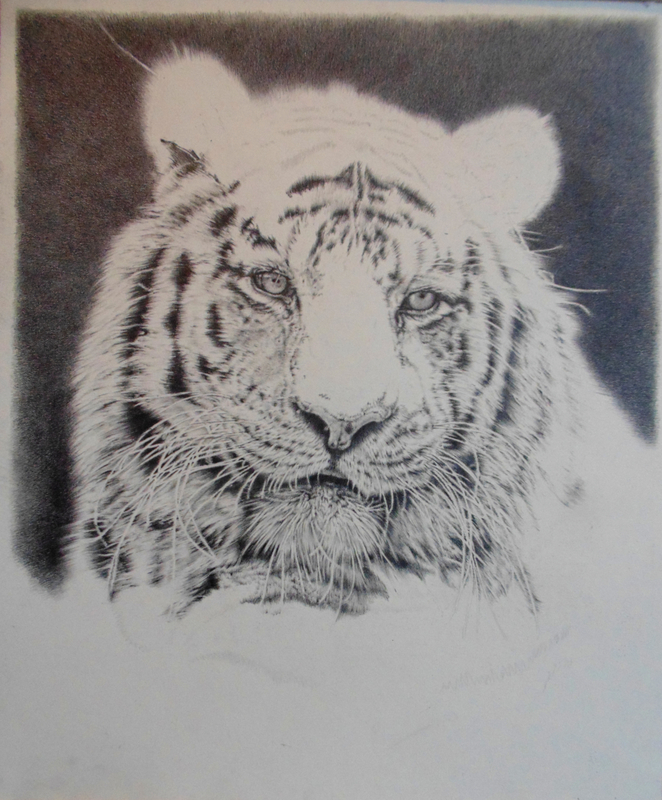 I have been working quite a few hours on my tiger drawing this morning after taking a break from it this weekend. I have mostly been working on the details of his nose. 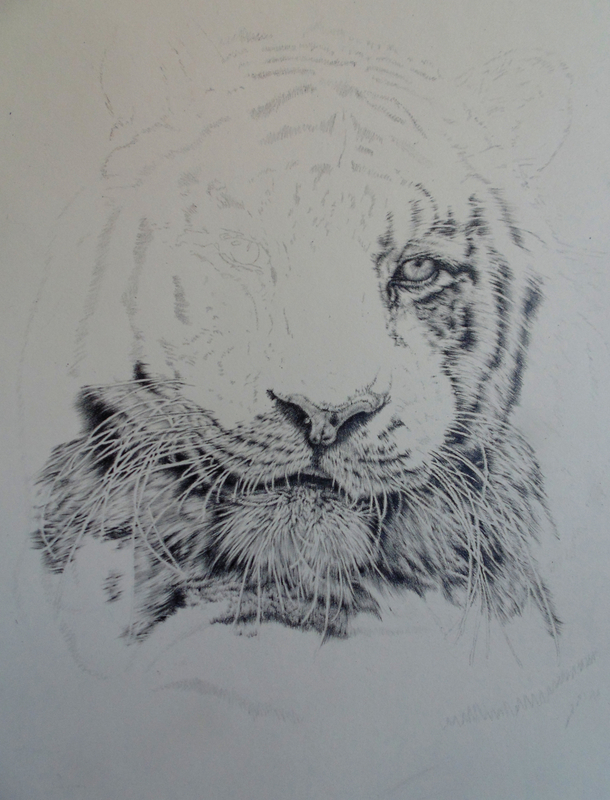 I have been working quite a few hours again on my new tiger drawing today. 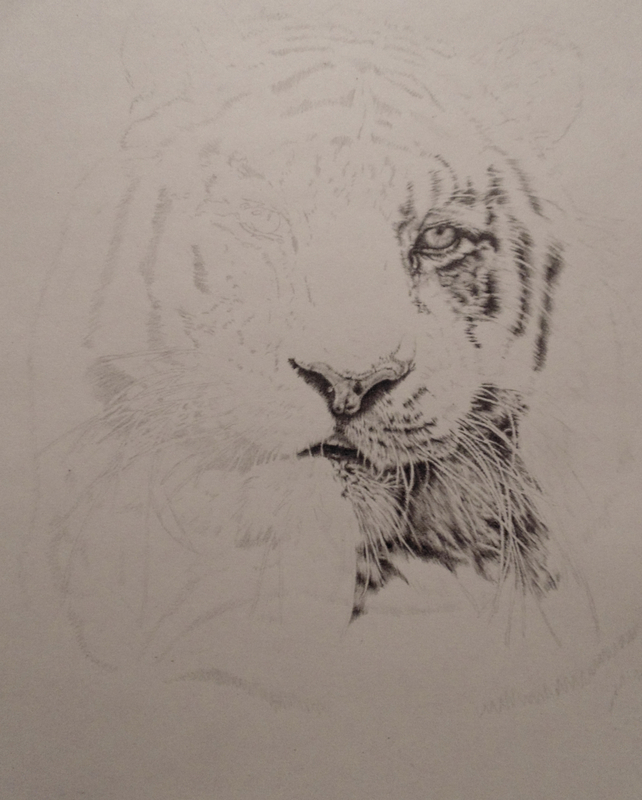 I have been working hard on my new tiger drawing. Having lots of fun with it. This is it’s progress after 18 hours. I just started a new drawing yesterday, and I have been working really hard on it. This is it’s progress after 10 hours.